When the FBI arrested Mohammed Junaid Babar in April 2004, he confessed to setting up a training camp in north-west Pakistan in the summer of 2003. He was charged, jailed and pleaded guilty on five different counts of ‘terrorism’, facing a possible 70 years in prison. However, Babar was released four and a half years into this sentence and, after giving evidence that put …..’Islamic terrorists’ behind bars, is now a free man on a witness protection program. The sentencing document that released him contains wording strongly suggesting that Babar was an agent of the US government prior to April 2004. Judge Victor Marrero stated that Babar “began co-operating even before his arrest” (Global Research). HERE WE HAVE THE QUINTESSENTIAL AL – QAEDA MAN, NOTHING LIKE A TALIBAN FIGHTER BUT A FLY-IN, A WANNABE, A LOST AND PLIABLE SOUL, AN UNDEDICATED BUYABLE TURNCOAT, A TRAITOR TO ONE AND ALL. BABAR IS A PRIME REPRESENTATIVE OF THE ORGANISATION THAT THREATENS THE WESTERN WORLD. HE IS ‘THE ENEMY’ AND, AS USUAL, HE IS WORKING FOR US. HE IS A CIA ASSET RUN BY A REAL TERRORIST LIKE THIS MAN. One wonders if Babar even set up this training camp on his own initiative or if this was a CIA project from its inception. Either way, he quickly found his circumstances radically altered and was persuaded to offer his services as a ‘supergrass’. Five young Pakistani britons* were jailed for a total of 200 years. The trial was mainly held in secret, with nothing much reported till it was over. 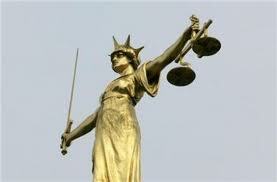 Its defendants were charged with planning to blow up a shopping centre and nightclubs. The five had signed confessions to the charges placed against them. Their lawyer publicly read out a statement at the end of the trial on the steps of the Old Bailey that these were “…..forced confessions gained through illegal detention, and torture abroad…..” Omar Khayam kept insisting in his trial that, whatever degree of involvement he might have with struggles going on in Pakistan and Afghanistan, that had no connection to ‘terrorism’ in the UK, of which he was innocent. I attended this trial and heard Babar, now acting openly in his role as a ‘Supergrass’, tell how Mohammad Sidique Khan, one of the four alleged 7/7 bombers, came to a ‘terror training’ camp he was running in Pakistan. Babar gave this testimony, his image beamed over from an American prison. He was testifying on behalf of the British Government. Is it not bewildering that a convicted criminal can give evidence in a British court, from jail, on the explicit premise that his sentence gets reduced if he says the right thing…..
…….AND THAT HIS EVIDENCE IS TAKEN SERIOUSLY? Babar told the Crown Court at Kingston that, in July of 2003, a Mr ‘Ibrahim’ had come over to an ‘Al-Qaeda’ jihad training camp he was running. I heard the Prosecution then turn and assure the Court that by ‘Ibrahim’ Babar was here alluding to Khan – but I did not hear Babar being consulted on this issue. The prosecuting barrister could easily have asked Babar this key question – but he did not. JULIE ETCHINGHAM: And you had no idea why he would be travelling to Pakistan or with whom he was travelling? HASINA PATEL: He has family in Pakistan and for people who come from those countries it is normal to travel back, you have family there, you have property, land, there are plenty of reasons you could be going there. ‘Ibrahim’ according to Babar asked him in 2003, how much it would cost were his family to come over? We are here asked to believe, that Khan wanted to leave Beeston and his job at Hillside primary school, where he was a generally highly-esteemed, up-and-coming figure, to live with his family in a remote mountain-guerrilla outpost? The idea is quite absurd. I suggest that the ‘Ibrahim’ memory enabled Babar to spin a story without lying as such about Khan. Babar is only on record as ‘recognising’ an image** of Khan after 7/7. 25 Nov S rang. Good news. 26 Nov S rang. Good news. Back by Feb? Returning to that above 7/7 Inquest quote, the police officer probably did not realise how he was releasing a well-kept secret: Khan’s letter of resignation to his school headmistress that we had been shown had the sentence deleted indicating the reason for his visit to Pakistan. Throughout the 2008 Kingston ‘July 7’ trial the image was continually presented of a heartless fiend who was leaving his wife, child and job to attend a terror-training camp in Pakistan. Babar’s testimony given to the Kingston Court (from a US jail) was that Khan had told him he wanted to go fight in Afghanistan – and leave his family! One could here do with confirmation as to whether Khan did visit his Father. He was, simply, an agent of US intelligence: ‘It is now acknowleged by the US governement that a man who admitted involvement in terrorist activities, including the UK’s worst mainland terrorist atrocity, and who personally knew one of the London suicide bombers, was providing a “substantial” and “extraordinary” level of assistance “to both the United States government and foreign governments” prior to his April 2004 arrest.’ (Global Research) He was released very early – right in the middle of the 7/7 Inquest in London! It is of concern to all of us, if British citizens can be jailed by a court that uses a bribed, criminal witness plus the fruits of torture, and jailed when nothing has actually happened. The so-called ‘Crevice’ case (the word doesn’t mean anything, its just a codeword) was not ‘discovered’ by British police, it was given to them by the NSA in Fort Maryland, where the giant computer ‘Puzzle Palace’ that spies on phone calls claimed to have detected it, from UK-Pakistani phone calls. Soon after that, half a ton of fertiliser was found in a lock-up at Hanwell, near Heathrow. * Now that Babar has been exposed as a US informant, HM Government should release the five people it has jailed over the so-called ‘Crevice’ plot: Salahuddin Amin (from Luton), Anthony Garcia ( Ilford), Jawad Akbar, Omar Khyam and Waheed Mahmood, all from Crawley. It should give Omar Khayam a decent reference so he can continue his promising cricket career, where he was hoping to bat for his Surrey cricket team. ** This heavily and badly cropped image became an issue of some contention at the 7/7 Inquest. The intelligence services possessed a perfectly good colour image of Khan (with Tanweer) from which Babar identified Khan after 7/7. A cropped faded version of Tanweer alone (taken from the original good image) was sent to Babar for identification before 7/7. Khan’s image was not sent. Tanweer’s was unrecognisable. One wonders why MI5 chose to do this. The cropped image is dreadful. Perhaps they did not want Khan identified before 7/7? Was he doing something very important for them and they did not want to generate evidence (like his being identified) that would come back to damage them later? Is it not a fact that money was openly collected in many Pakistani areas in the UK for sending young men for training for the defense of Kashmir and that this was considered a legitimate activities in these communities? Is it not likely that some of the men who did this were identified and later labeled (conveniently) as anti-western terrorists by the security services? Do you know if any of the ‘Crevice’ group are likely to fall into this category? Yes, I heard Waheed Ali (in the Kingston ‘July 7th’ trial of August 2008) explain that the miltary training camp he went to in the mountains of Pakistan in 2005 was for a cause which Muslims regarded as ethical, i.e. defence of an Islamic state, and that the local Muslim community where he lived in Beeston collected funds to support this: that was, he told the court, a ‘world apart’ from terrorism in the UK. Despite this, he was eventually convicted for ‘terrorism’ because of these visits. It seems to me that Omar Khyam of the alleged ‘Crevice’ plot expressed a similar motive for his poitical involvement in Afghani politics. 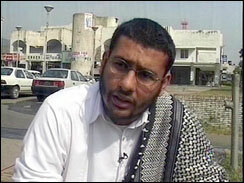 Reports are so brief from that Crevice trial that its hard to assess Omar Khyam’s views any further.